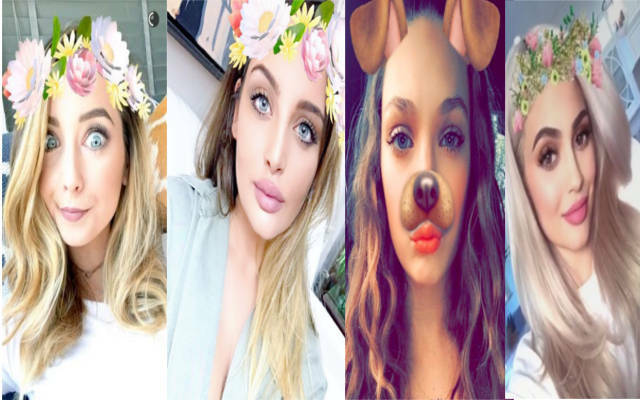 While around 70% of Snapchat users might be women, many blame the famous messaging app for being sexist due to its heavy focus on filters that promote a specific version of female beauty. Their filters create a false and unnatural image of beauty that could only be achieved through those filters. Many young girls cope to reconcile with reality outside the pretty world of Snapchat filters because they get conditioned with a false concept of beauty. The world of Snapchat is full of pretty filters with all the ruffles, glitter, anime eyes, head gears and make up. It completely changes one’s facial outlook. Psychologists believe such sexist filters can result in depression and lack of confidence among women, especially young girls, and they’ll struggle to face people in real world. They’ll want to project a Snapchat-like filtered image of themselves, and failing to do so will cause them anxiety and depression. Such pressure to conform to a certain definition of “beautiful” can have drastic psychological effects. Moreover, almost 90% of the filters are usually about making one look like a pretty little kitty, something which many male users of the app would not prefer for themselves. Even so, many feminists decry the promotion of flawless female skin or big eyelashes as the metric of judging female beauty. Having less male-filters aside, these female-targeted filters affect men too as they also get conditioned with a specific type of female beauty. They start to expect seeing women with similar features in real-world. The result is that on one hand, we have women who lack confidence for not looking as pretty as they do on Snapchat filters, and on the other hand, we have desperate and disappointed men who fail meet women who looked the same like they did using those filters.